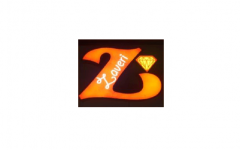 Business description - UH Zaveri has been incorporated as a gems & jewellery company. The company’s business operations are divided into two divisions. One division of its business operations is into wholesale and retail of jewellery and the second division is into trading of jewellery. The company mainly sells gold jewellery and marginal percentage of its revenue is earned through silver jewellery and other kind of jewellery and utensils. The company does not manufacture its own jewellery and hence, the making of its jewellery is outsourced. However, the jewellery sold by it is either designed in house or through 3-D jewellery designer or by third party designers. UH Zaveri IPO allotment status is now available on Karvy Computershare’s website. Click on this link to get allotment status.